When the radio was introduce as a new-car feature, safety advocates began screaming about the potential for distraction. Then came the tape deck, the CD player, the MP3 player and the GPS. But by far the biggest risk factor for distraction has been the cell phone. And now the smart phone. Credible studies show even hands-free devices result in significant cognitive distraction. However, it’s hand-held use and text messaging by drivers that the government has in its crosshairs. As our Boston injury lawyers reported recently, the feds are considering a nationwide ban on hand-held cell phone use by drivers. As the Boston Globe reported, the National Transportation Safety Board believes we will continue to be at high risk until operating a vehicle — rather a boat, train or car — while using a cell phone becomes as taboo as drunk driving. Last year, two Hungarian students were killed in a duck boat accident in Philadelphia after being hit by a barge being tugged by a pilot reportedly on his cell phone. Locally, the 2009 Boston trolley accident that sent scores to the hospital was caused by an operator who was texting his girlfriend. Safety advocates hope drivers someday equate driving and using a cell phone with drunk driving or failure to wear a seat belt. In recent years the NTSB has been called in to investigate a number of commercial accidents, both on the water and in the air, that have been blamed on distracted drivers. Cases include a tug pilot who ground his vessel while texting in the Baltic Sea and a Northwest Airline pilot who passed his destination by 150 miles while using a laptop to complain about scheduling woes. The National Highway Traffic Safety Administration reports 5,474 lives were lost and 448,000 were injured in accidents caused by distracted driving in 2009. “These numbers show that distracted driving remains an epidemic in America, and they are just the tip of the iceberg,” said U.S. Transportation Secretary Ray LaHood. And the numbers are on the rise, even as the total number of traffic fatalities has reached a record low during the economic downturn. Today, an estimated 16 percent of all fatal accidents are blamed on driver distraction. A serious trolley accident that happened two years ago left a Salem college student with a fractured back and other injuries and has left her with thousands of dollars in medical bills and an uncertain academic future, according to The Boston Herald. The Boston trolley accident was caused by a trolley driver who was operating the public vehicle while texting. There have been roughly a dozen plaintiffs injured in the accident to file a suit against the Massachusetts Bay Transportation Authority (MBTA). Our Boston car accident attorneys would like to urge residents and visitors to take advantage of public transportation options, but we would also like to reiterate the importance of passenger safety on these rides. It is the responsibility of these transportation companies to provide safe and reliable forms of transportation for our city and to step up when safety standards are not met. The accident happened back in May of 2008 when the Green Line trolley collided with another train near Government Center. The driver of the vehicle at fault was reportedly texting his girlfriend. The Salem student was thrown from her seat and into a pole, resulting in a smashed temple and a fractured back. According to the family of the young female passenger, she has suffered chronic back pain, vertigo and attention problems. She is still reportedly attending physical therapy three times a week, seven falls have landed her in the Lawrence hospital’s emergency room. Because of her troubles and injures caused by the accident, the student is currently experiencing dropping grades in school because she experiences trouble focusing, putting her scholarship to Merrimack College in jeopardy. The accident left a grand total of 68 people with injuries, according to MBTA spokesman Joe Pesaturo. The text messaging driver of that trolley has been placed on probation and pleaded guilty in December to negligence in operating a common carrier. The T was also faulted for not operating with a system that automatically stops trains if they get too close to one another, according to the National Transportation Safety Board. The driver of that trolley has a record of driving infractions including three speeding tickets and a surchargeable accident. 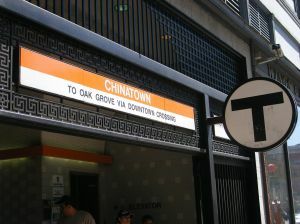 Investigation into the cause of a Boston subway accident that injured 65 riders back in 2009 has been concluded. Federal investigators have determined that a text messaging driver was the probable cause. That one text message caused nearly $10 million in damages, according to the Boston-Herald. Boston personal injury lawyers urge drivers to curb all distractions while driving as driving while distracted can have some serious, and deadly, consequences. It is our civic duty to focus all of our attention on the road to increase the safety of ourselves, our families, passengers and everyone traveling through the city. The Massachusetts Bay Transportation Authority driver reportedly attempted to call his girlfriend just minutes before the accident. He reportedly left her a voice mail message, according to the National Transportation Safety Board. The message that he was sending, that ended up causing injuries to the 65 passengers and costing millions, asked his girlfriend to call him. While composing the message, he ran through both a yellow light and a red light. The texting caused the driver to “lose his situational awareness and his focus on operating the train,” said Investigators. The driver was fired from his job and, back in December, pleaded guilty to gross negligence by a person in control of a common carrier. He was sentenced to two years’ probation and 100 hours of community service. Massachusetts mass transit injuries are complicated cases oftentimes involving a number of parties, including state and local governments, out-of-state companies, insurance companies and the corporate attorneys who protect them. It is critical that you contact an experienced Massachusetts personal injury lawyer in the event of a mass transit accident in Boston. The investigation into the April Boston car accident involving an MBTA trolley and members of the Boston College championship hockey team has largely cleared the students of wrongdoing. New information has left the transportation authority answering some tough questions. This case perfectly illustrates why an attorney should always be called to handle an injury case, regardless of what investigators determine at the scene or what parties claim in the immediate aftermath of an accident. It now appears that these kids did very little wrong in an incident that colored the school’s championship performance and led to national media scrutiny. As we reported on our Boston Personal Injury Attorney Blog, the SUV full of Boston College students collided with the Green Line trolley on a Saturday night in April in an accident that Massachusetts Bay Transportation Authority officials were quick to blame on the students. Three of the passengers were members of the Boston College hockey team, which had just won the National Championship. Police reported finding Vodka in the Jeep and an MBTA official said three passengers took themselves to the hospital after fleeing the scene. The circumstances turned a relatively minor incident into national news covered by the USA Today, the New York Times and ESPN. However, the Boston Globe now reports that the MBTA suspended the trolley driver for two weeks in May after the agency’s investigation determined he was driving 35 mph at the time of the crash — well over the 10 mph speed limit in that area. Then, in a closed hearing last week, the most serious charges against the Jeep’s driver were dismissed after toxicology results showed she had not been drinking. On the heals of that news, the MBTA suspended the driver indefinitely this week and are pursuing perjury charges against him for testimony he gave in a hearing about the crash. 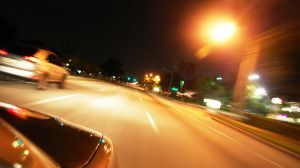 The 34-year-old driver testified he had a clean driving record, despite having recorded multiple moving violations in both Massachusetts and Florida.